Rapid advances in technology and modern workforce needs are transforming the way, workforce learning & training is delivered and training courses are created. Today’s tech-savvy, social and mobile learners are no longer interested in traditional classroom training and demand learning techniques that blends best with their current working style and outlook. Let us look at top online learning trends that organization must incorporate in their learning programs. Mobile Learning enables you to present smaller sized, interactive online learning to your employees without restricting them to a particular time or a place. Employees with busy schedules or the ones who are always on-move have the luxury to access training resources at any time, from any place. Smaller sized content also enables them to absorb and retain the training courses in a better way. According to a survey by eMarketer, 59.3 percent of the U.S. population used a smartphone in 2015 and a total of 1.42 billion smartphones were sold worldwide. Almost two-thirds of Americans are predicted to own a smartphone by 2017, more than a threefold increase since 2010. It is also estimated that the mobile learning industry alone will grow to over $37 billion by 2020. Extensive training courses and lengthy durations don’t comply with learners’ short attention span as well as their availability and often disconnects them from the entire learning process. Creative content is required to enable new and refreshed learning experience to employees. A report by the Rapid Learning institute emphasized that the majority of learners prefer short- e-learning courses, something that their organization is still trying to focus. Usage of videos, podcasts, micro-blogs, diagrams, images, questions, and quizzes not only helps in increasing the participation and completion rate of training courses but also engages the learners in a better way. For example, people are more attentive to an image over a large block of text as it is easier to understand and digest the information presented in a visual manner. Organizations can also introduce real life examples or real life scenarios for problem solving, encouraging employees’ to think and reflect their learning right away. Analytics tools help an organization to know about their learners and how they are digesting the information. One can evaluate training effectiveness, learner’s preferences, and usage patterns through analysis and visualizing software, Tin Can and other analytics tools. Such insights help organizations to create their training courses in a personalized and targeted way. One can evaluate the reasons behind a highly effective training course and vice versa and use such findings to create future training strategies and content. Data analytics also enable organizations to provide customized training programs to a group or a set of employees, who might be showing similar learning behavior or patterns. Who does not like to play games? Entertainment Software Association states that 155 million Americans regularly play video games and the average game player is 35 years old. This is why gamification in e-Learning is fast emerging as an effective technique to engage learners. Through gamification, you can include games or activities that allow learners to compete with other learners, overcome hurdles, and earn points, badges or rewards for their efforts. It increases their engagement during a learning program and also brings a sense of accomplishment or reward, encouraging employees to do better. Companies who are already using gamification based learning programs have reported high levels of success. 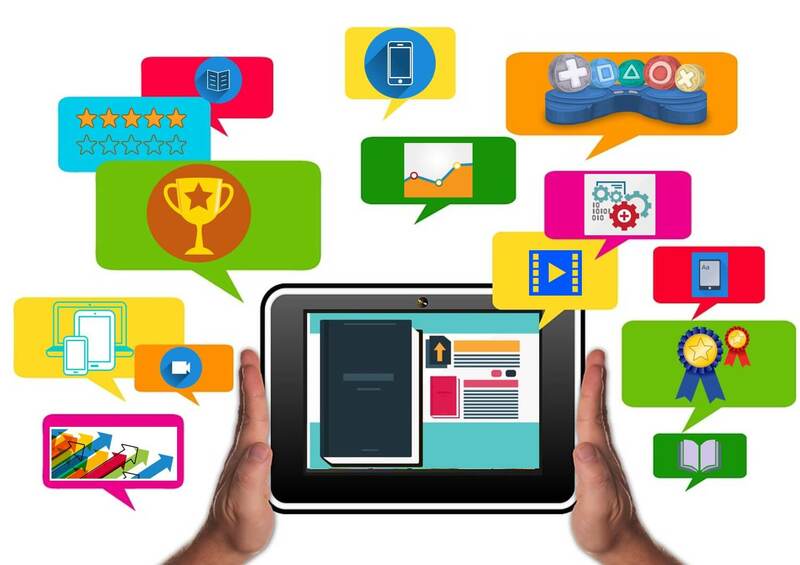 In a research study by PEW Research, 53% of respondents stated - by 2020 gamification will be widely adopted by most industries, the communications scene, and most of all education. While online learning will continue to evolve and change, organizations looking for long -term success must focus on these trends. There will be a constant focus on new and innovative ways to connect with learners through social, informal and creative methods transforming the way learning is delivered and perceived.